With billions of people worldwide now relying on text messaging to get important information out, those who do not have SMS abilities are often left behind. Thanks to ipipi.com, it’s never been easier to get involved and active in this communication revolution at home, at work or on the road. At ipipi.com, we are an international SMS service that enables our clients to send text messages to any mobile phone using any computer or mobile phone. This means our customers do not have to be tied down to a costly service package from their cellular phone provider or even have a cellular phone provider to send out a text message. Send SMS messages around the world – Our service is truly international and doesn’t even require mobile phone ownership to work. Send messages even if your phone company doesn’t provide the service – We help you bypass this problem and still enjoy the services of your trusted mobile phone provider. Save money – At ipipi.com, we keep our costs low so you can enjoy a SMS service for less. Our per-message rates are low enough that anyone can take advantage of our services. Lose the little keyboard – If you don’t like the idea of SMS messaging on a small, telephone keypad, you don’t have to worry. Our service enables you to send from any computer – using a full keyboard – if you’d prefer. Multiple message sending – Tired of sending only one message at a time? Our SMS service enables you to send out many text messages at once to multiple recipients. SMS messages sent from ipipi.com arrive within seconds, save you money and even enable your friends to reply – even if you do not have a mobile phone. There is simply no other service out there that lets you send messages from any Internet-connected PC and deliver them to just about any mobile phone on the planet! Truly global – We enable you to text messages on networks all over the world, and we’re continually expanding to ensure our global reach remains that way. Cost-effective – Our SMS service is not only highly accessible, it can save you a lot of money on long-distance calls to friends, family and business colleagues. Easy to use – The ipipi.com interface was designed with simplicity and effectiveness in mind. Our flexible platform is ideal for anyone, from text messaging beginners to corporate officers, to use. Convenient – When you use ipipi.com, time zones won’t matter. You can schedule your SMS messages to arrive with a delay. Flexible – We make sure you have the ability to fully configure your account to meet your own personal text messaging needs. Again, you don’t even need a mobile phone to take advantage of our service! Getting connected has never been easier. 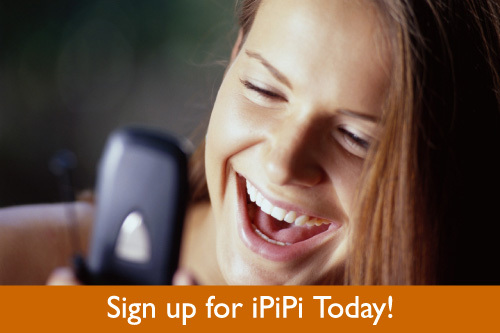 When a SMS service that truly works for you is needed, ipipi.com delivers. Just sign up for a free trial account today to find out how easy it is to text message on your terms.